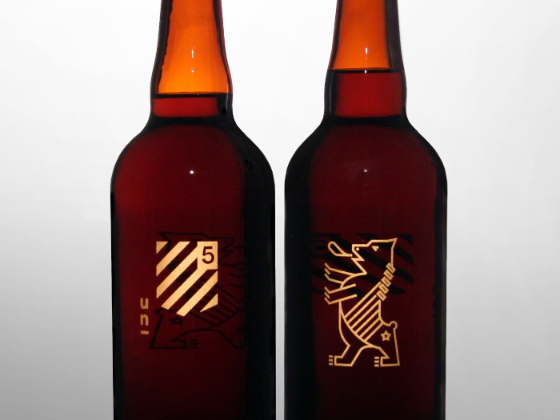 To celebrate Un-Studio's 5th anniversary, the agency went to a local brewery and made their own beer, a California lager and an amber ale. 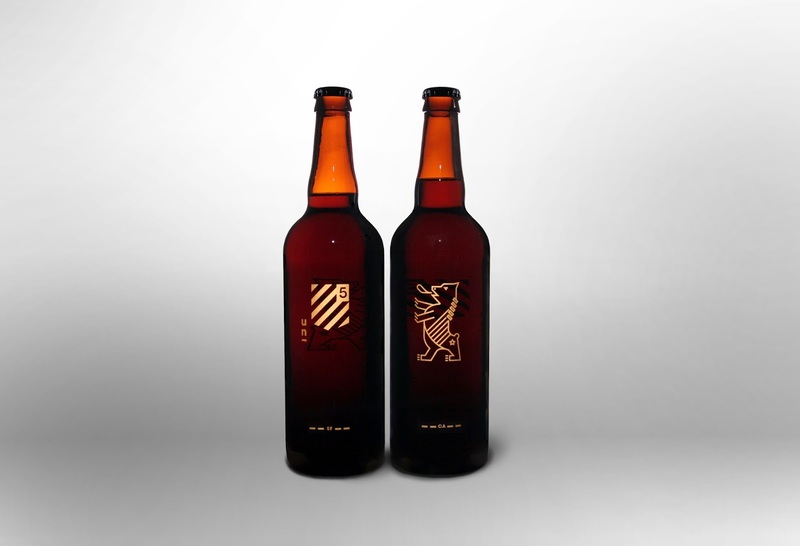 They then designed the bottles for the brews. 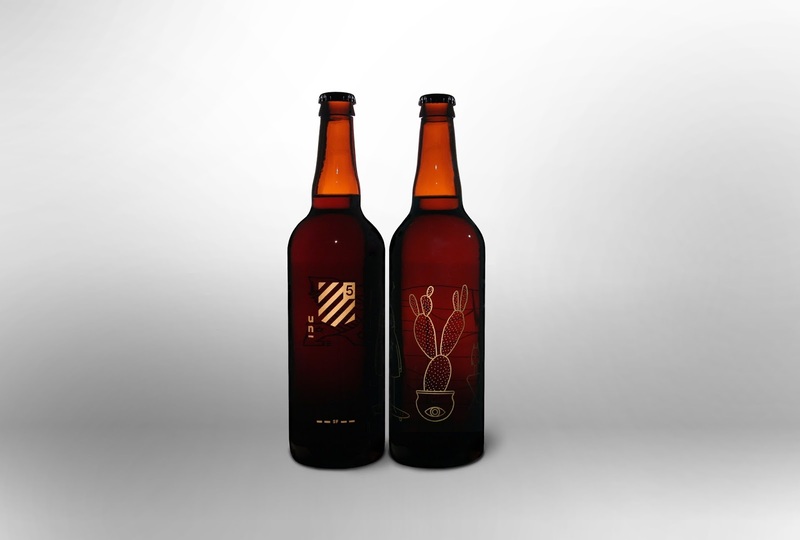 The two designers developed their ideal beer bottle designs, both relating the subject matter directly to the studio. One deals with the design process, the other with the location and its influences on design processes. 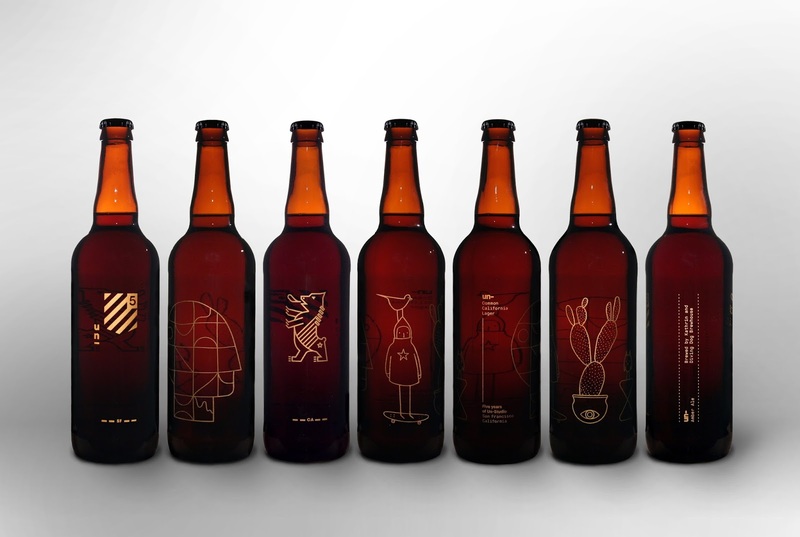 Once each bottle was designed independently from one another, the designs were unified so that they both went together as a set. 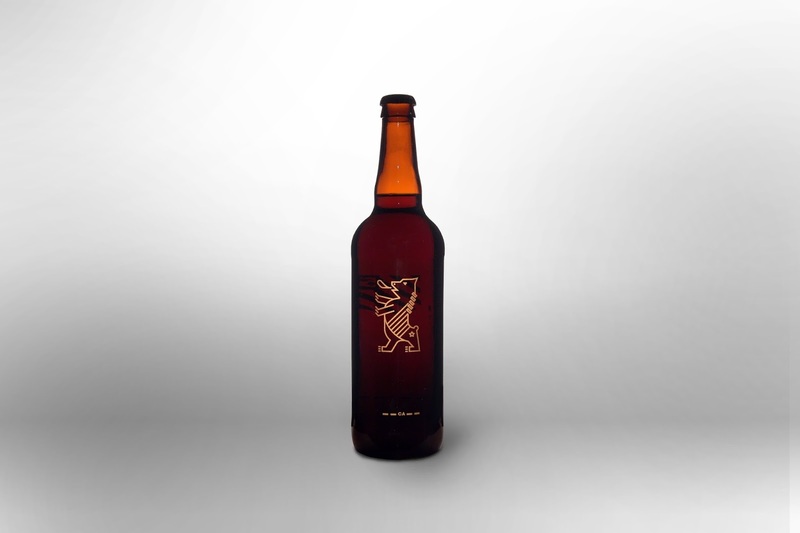 The design was silkscreened in a satin gold directly onto the bottles. The gold gives the illustrations an interactive quality and reflects the light, which makes the illustrations come alive. 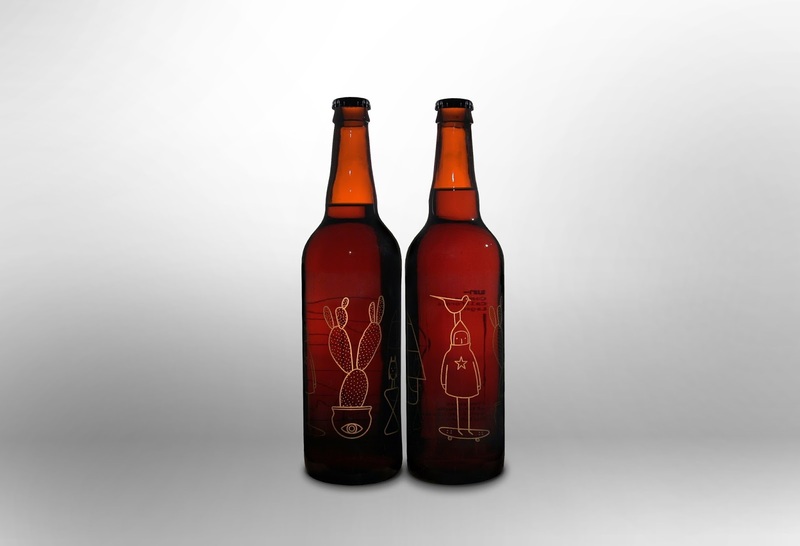 Few beer bottles are printed directly onto the bottles, most have labels. Additionally, the design is fairly minimal.